Tuscany is considered to be one of the most beautiful regions of Italy. Located in the central region of the country, Tuscany is divided into 10 provinces – Florence, Grosseto, Livorno, Lucca, Massa, Pisa, Pistoia, Prato, Siena and Arezzo. The region has an estimated population of 3.7 million inhabitants and is known for its wine regions, culture and huge historical impact in Medieval Europe. Tuscany (or in particular Florence) was considered to be the birthplace of the Renaissance and during this time period the country flourished and created some of the most influential and legendary scholars, artists and visionaries the world has seen including Leonardo Da Vinci and Michelangelo. Throughout history, Tuscany has been a place of importance – this region has been settled since the Etruscan period and has been inhabited by the Romans, and other notable civilizations. Today it remains one of the most popular regions of Italy and draws a huge amount of tourists annually. 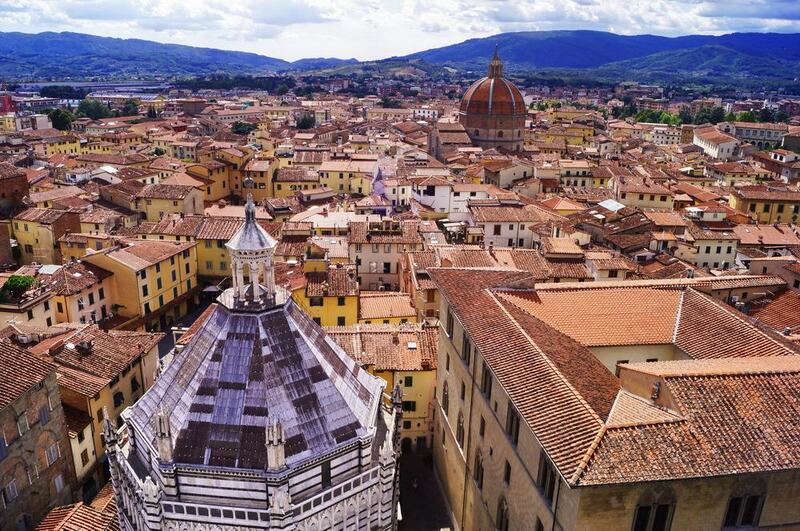 Firstly, Tuscany boasts some of the finest cultural cities in Italy such as Florence, Pisa and Lucca – these cities boasts some magnificent historical buildings and world class museums. 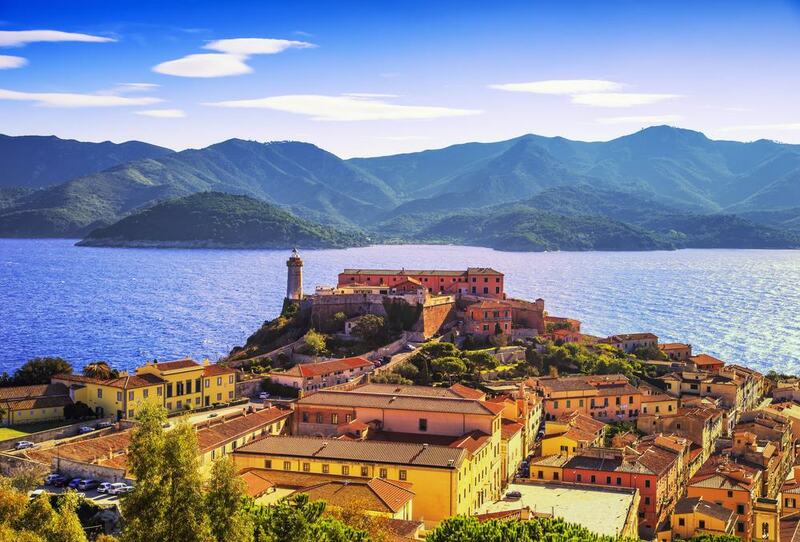 Furthermore, the Tuscan countryside is absolutely stunning and is a fantastic place to explore – you can visit the island of Elba and see where Napoleon was exiled, or travel through Tuscan wine country. When visiting Tuscany, you are sure to find cultural enlightenment and learn a great deal about the history of Italy and Europe. Florence is the jewel of the Renaissance and is renowned worldwide for its contribution to the arts and culture of modern society. During the Middle Ages Florence was one of the most important cities in the world and gave birth to legends such as Da Vinci and Michelangelo. 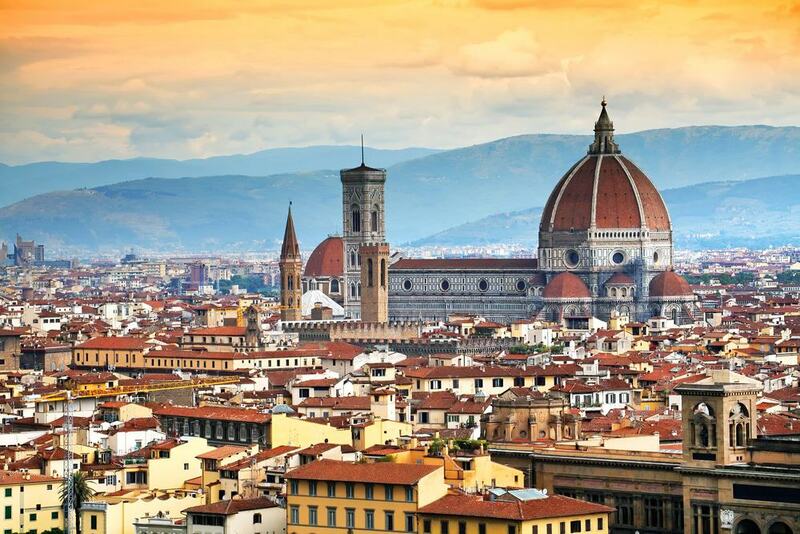 Today Florence is a thriving city with a dazzling amount of attractions. The Duomo and Baptistery are simply magnificent with their polychrome faces. The Ponte Vecchio spanning the Arno River is intriguing with its array of shops and stalls. The Piazza della Signoria contains the medieval Palazzo Vecchio, the Galleria dell’Accademia and the opulent fountain of Neptune. Every corner of this city is packed full of interesting sites of historical significance. Second only to Florence in terms of significance during the Renaissance, Pisa is another stunning city with a great deal to offer on the eastern coast of Tuscany. Pisa is known throughout the world for its iconic leaning tower – this campanille is actually part of a larger complex that contains the Duomo di Pisa, the baptistery and the monumental cemetery. Each structure is awe inspiring in its own right; the bell tower is just the icing on the cake. Pisa also has several interesting museums, a fantastic botanical gardens and some spectacular scenery along the Arno River. 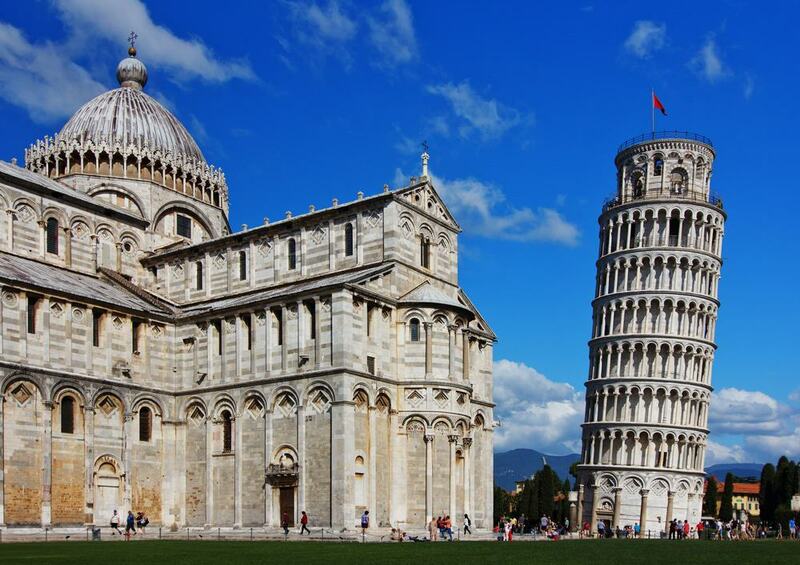 You may come for the leaning tower, but you will leave having seen so much more. 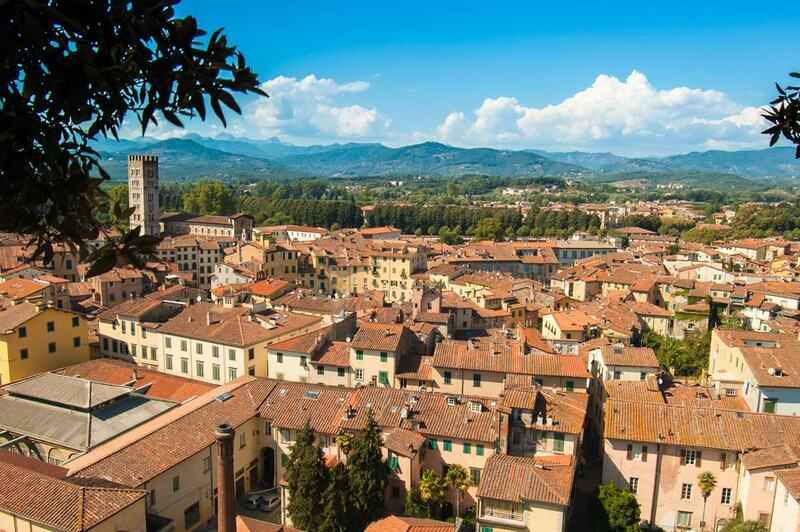 Many people overlook this smaller Tuscan city, but Lucca played an important role in Italy during the Middle Ages and Renaissance. This city lies in close proximity to Pisa and contains a myriad of beautiful buildings. 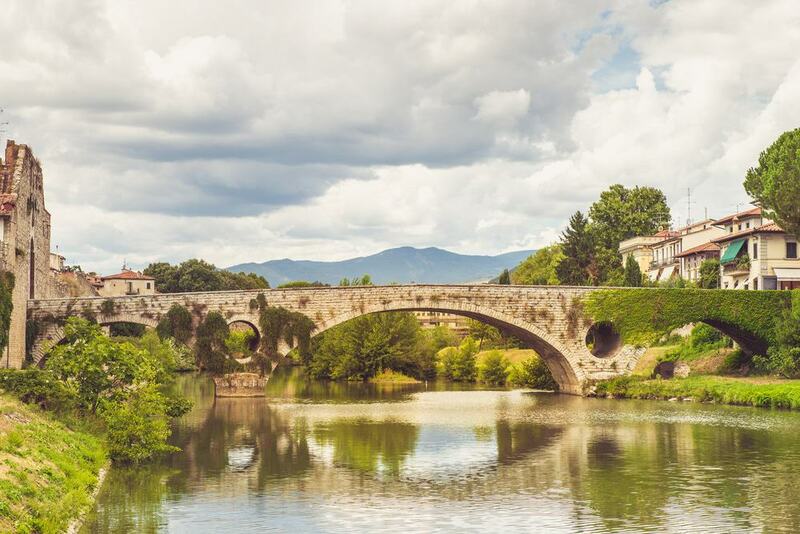 A main feature of Lucca is the complete city wall complex that encircles the whole historic old town – these walls are truly magnificent and the parkland that is maintained around them is a pleasure to explore. Lucca also features the glorious Duomo that features an immense bell tower and has a highly decorated façade. Other attractions of note include the Torre delle Ore, Guinigi Tower, San Michele in Foro and the Museum of Villa Mansi. This variety of historical sites make Lucca an attractive destination within the Tuscany region. Arezzo is one of the most central cities in Tuscany and lies in-between the Mediterranean and Adriatic coasts equally. The city is situated on a hillside and the upper section contains the historic old town, whilst the lower section is modern and concerned with industry and trade. The old town is the main area of interest and contains some beautiful structures such as the Fortezza Medicea, the Duomo San Donato and the Teatro Petrarca. If you are interested in museums and history, Arezzo also has several high quality establishments including the Museo Archeologico Mecenate and the Museum of Medieval and Modern Art. Finally, Arezzo has some amazing parks and places of natural beauty for those who love the outdoors. Livorno is one of the most important port cities in Italy ad contributes a huge amount to the countries economy. Located on the Mediterranean coast, this city has an extensive port that is fascinating to walk around – you can see the commercial and passenger ships and admire the beautiful harbour. 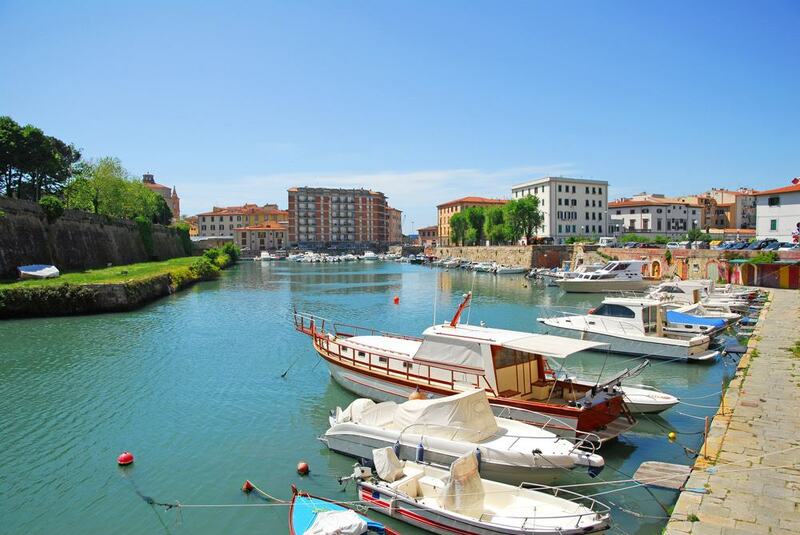 Surrounding the ancient Fortezza Nuova is an area known as Nuova Venezia – this gorgeous part of Livorno has a series of amazing canals and cobbled streets that are waiting to be explored. Aside from the port and the canals, Livorno also has some impressive attractions such as the Mercato Centrale, the Piazza della Repubblica and the Terrazza Mascagni. Pistoia is located in close proximity to both Florence and Pisa but it ha a great deal to offer as a standalone tourist destination. This city has the distinction of being the birthplace of the pistol firearm and was an important location during the Middle Ages. Some of the most popular and documented sites include the Cathedral of St.
Zeno and its Baptistery, the complex of San Giovanni Fuorcivitas, the Museo Capitolare and Pistoia Zoo. Furthermore, Pistoia is surrounded by some amazing mountain towns such as the spa town Montecatini Terme and the beautiful town of Montecatini Alto. Finally, for those who seek adventure, there is always the immense Monte Cimone mountain range waiting to be conquered. Prato has been an influential city for many hundreds of years and was once one of the largest textile manufacturers in the country. Today it is a fine tourist destination and has a great deal to offer in central Tuscany. The Duomo di Prato and Emperors Castle are two significant structures that are definitely worth a visit. Additionally to take a look at the cities manufacturing past, the Textile Museum offers keen insight and is an interesting museum. Whilst in Prato, you must try the famous Biscotti biscuit and the cured Mortadella Salumi – these two delicacies are simply divine and two of Prato’s finest creations. For the adventurous, Prato has many cycling routes and some gorgeous surrounding countryside. This small town located in close proximity to Siena is a true hidden gem and is one of the best kept secrets in Tuscany. 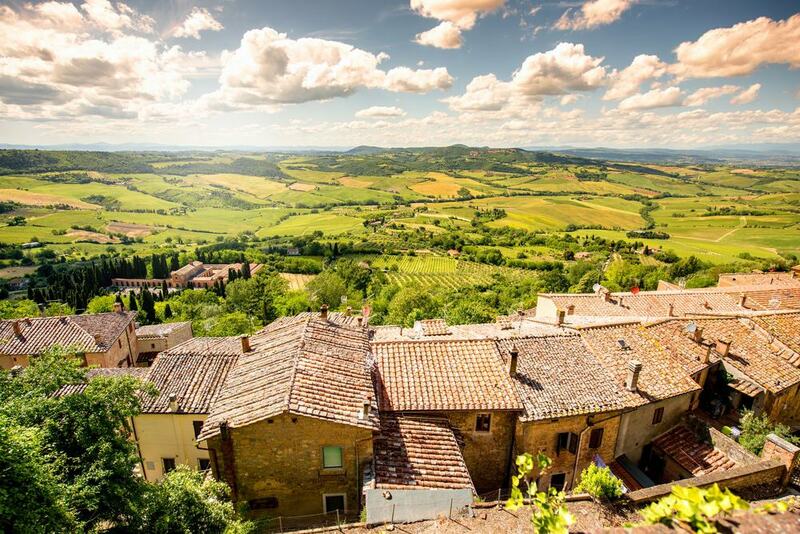 You can find Montepulciano 600m high on an ancient limestone ridge and the views from this town of the surrounding countryside are to die for. Aside from the jaw dropping views, this town also has some fantastic medieval architecture such as the Palazzo Cervini, the Torre di Pulcinella, the Porta al Prato and the Chiesa di San Biagio. The main square is charming, and the surrounding fields are covered with vineyards producing the famous Vino Nobile. This region of Tuscany can be found in the eastern stretch of the countryside and features some absolutely gorgeous landscapes and idyllic scenery. 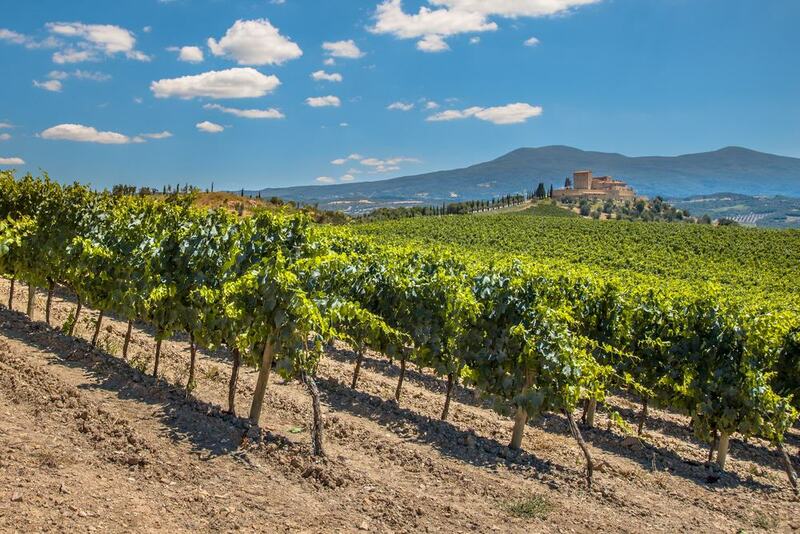 The whole region is a protected area and contains a historic heritage railway, a huge array if expansive vineyards and some peaceful towns such as Pienza, Radicofani and Montalcino. Pienza in particular is worth a visit and has been dubbed as one of the most impressive Renaissance settlements due to its beauty, stunning surroundings and picture perfect architecture. This whole region is waiting to be explored and offers much in terms of sight-seeing and outdoor pursuits. Elba is possibly best known for being the island to which Napoleon Bonaparte was exiled after his forced abdication in 1814. This Tuscan island is located in-between Corsica and Mainland Italy and has a population of 32,000. As a tourist destination Elba has a great variety of things to offer. Firstly the island has a wave of fantastic beaches with golden sands that are perfect for sunbathing and relaxing on. Secondly, the island has some amazing sites such as the Heritage Iron Mine and the Villa San Martino which was Napoleons second residence. Finally, the island is home to a wave of top quality restaurants offering sublime Italian cuisine and home grown Elban wine. 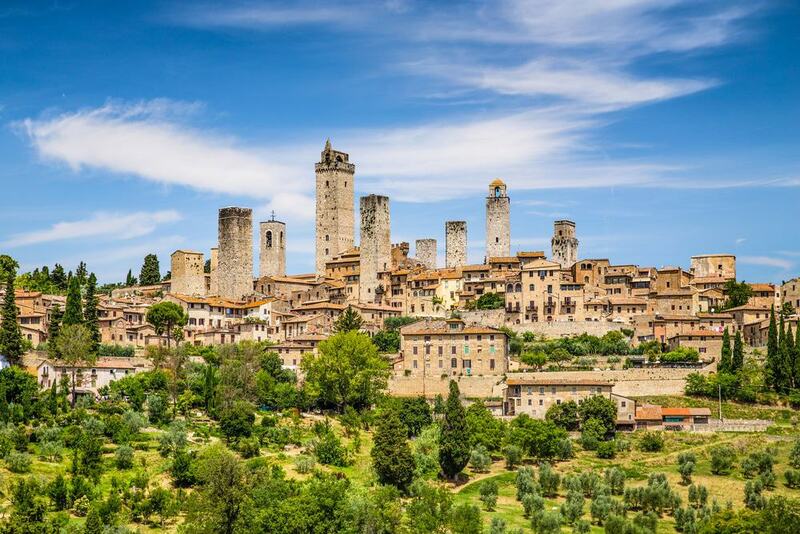 To see a true medieval town in Tuscany you must travel to San Gimignano. This quiet and charming town is renowned for its 14 medieval towers and its ancient city walls. The towers are truly magnificent and create a fantastic skyline in the surrounding countryside. 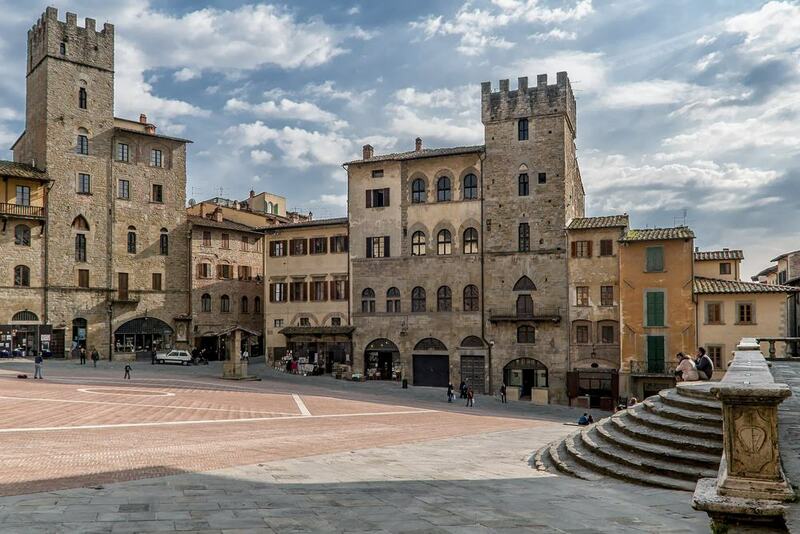 Aside from the gorgeous domineering towers and the central piazza, Gimignano also has several fantastic museums including the Museo Estrusco and the Museo Archeologico. Siena is an absolutely fantastic destination in the southern parts of Tuscany and its city centre has been designated a UNESCO World Heritage Site. 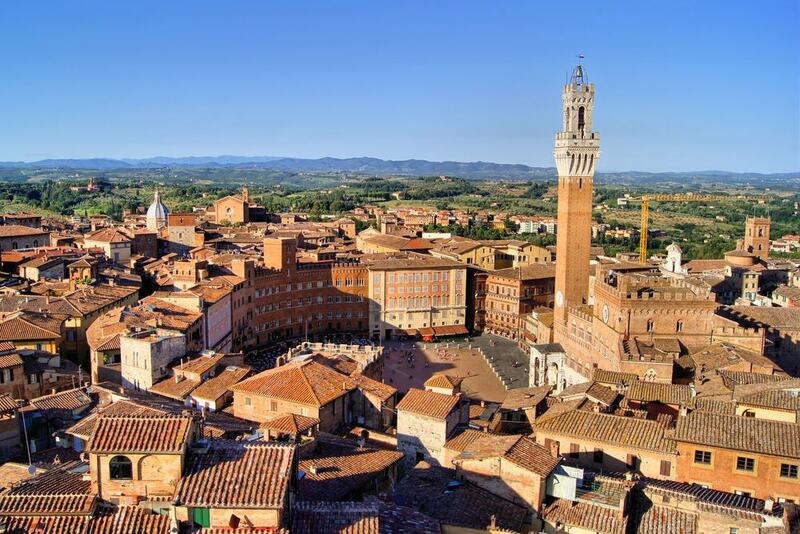 Within the historic old town you can find such magnificent buildings as the opulent Cathedral of Siena, the brightly coloured Palazzo Pubblico, the immense Basilica of San Domenico and the Palazzo Salimbeni. Furthermore the Piazza del Campo is possibly one of the most impressive squares in Tuscany and transports you back into a bygone era. Aside from the breath-taking architecture, the city has a plethora of museums and the narrow cobbled streets are simply perfect to amble through. Grosseto may not be as popular as Florence or Pisa but it holds a plethora of interesting sites and historical structures and is an amazing place to visit in the southern part of Tuscany. The main draw of this city is the historic old town centre – much of the original city walls still stand, as do several defensive bastions – these structures encircle the historic town centre and create a clear divide between the old and new. Within the town centre you can find some interesting sites such as the Duomo di Grosseto, the Porta Corsica, the Bastione Cavallerizza and the Aldobrandeschi Palace. The Piazza Dante is also one of the most beautiful places in the town and contains some of the city’s most important buildings. Montecatini Terme is a notable spa town located in the mountains in-between Pistoia and Lucca. This town is renowned for its beautiful setting and its plethora of spa establishments and wellness centres. Come here to rejuvenate and to relax – enjoy the thermal baths, enjoy some spa treatments and leave the town feeling refreshed and revitalised. 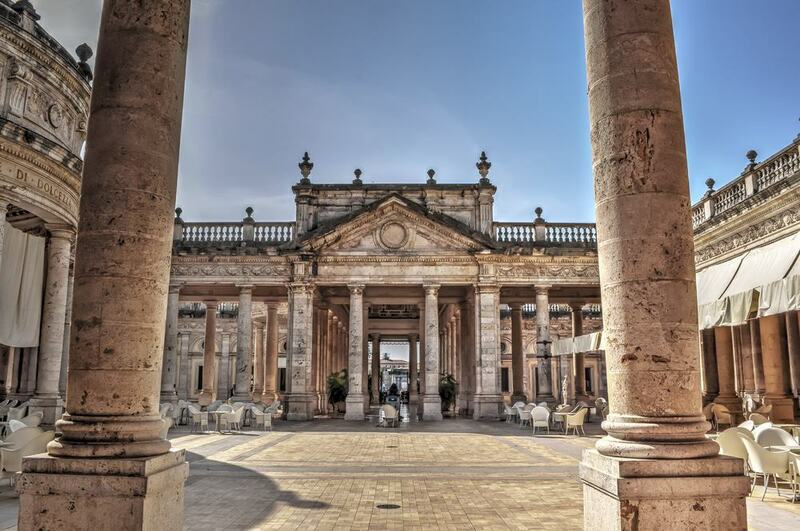 Terme Tettuccio for example is an opulent spa with classically designed buildings and some excellent spa facilities. For those who wish to explore, the town also has a funicular railway that travels to the neighbouring town of Montecatini Alto – this is another sublime mountain town that has some beautiful buildings and offers amazing views of the surrounding countryside. 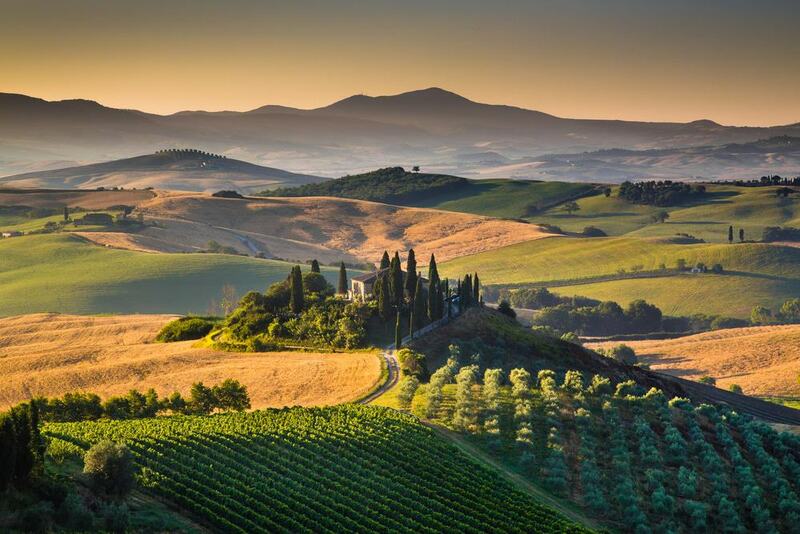 Tuscany is famed for its wine produce and the Chianti Classico Wine Region lies between Florence and Siena. This region is truly beautiful and has a myriad of interesting villages to visit. Furthermore you can visit one of many different wineries and sample some of the first class produce they make and even have a tour of their vineyards. Some of the smaller villages worth a visit include Greve, Chiocchio and Panzano. Consider hiring a car and driving through the Chianti Wine Region – the countryside is sublime, the villages are charming and the wine is excellent.